It's fascinating how art and poetics can continue to captivate us. 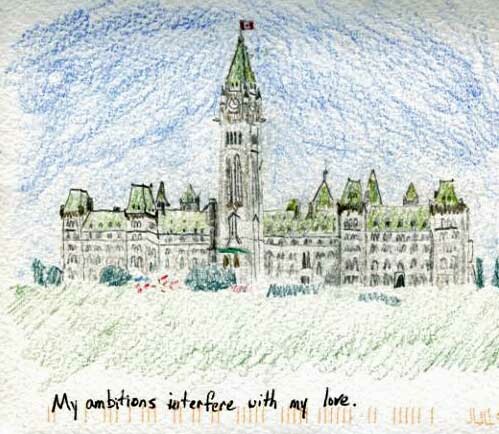 Case in point, I just took another look at the post card from PostSecret that I just recently blogged about. On first blush, I just assumed that the poster was talking about their ambitions within Canadian politics impacting their personal life. I just assumed that their "love" was for another person. Ah, I love the mystery. Here's the post card one more time.